When it comes to doing any piece of writing , it is always helpful to have some examples so that you can get an idea of what you need to do. This is what you will find in this book. 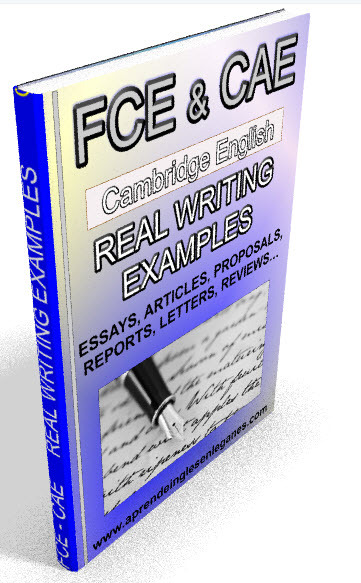 This book contains 36 examples of different texts, such as reports, proposals, articles, etc., written by real students who took either the FCE or the CAE writing examinations. These texts achieved a pass at grade A, which means that they scored over 80% .